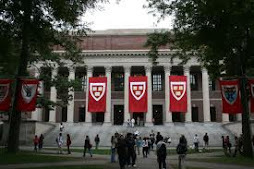 This is the site of Doug Holder-- founder of the small literary press "Ibbetson Street"
Harvard University, Cambridge, MA., Master of Liberal Arts. English and American Literature and Language. 1997. U/Mass. Boston. Graduate Study. English. 1990. Boston State College. Graduate Study-- Ed. School. 1980-1981. State College of New York at Buffalo. Buffalo, NY. B.A. History 1977. Boston University. Boston, Mass. Liberal Arts. 1973-1975. Museum of African American History. Teacher and Faculty Summer Institute. Boston, Ma. 2017. University of Massachusetts/Boston, Boston, MA, William Joiner Writers’ Workshop, 2000-2001. Boston University. Boston, MA, Paralegal Certification. 1989. Emmanuel College, Boston, MA, Massachusetts. Teaching Certificate, 1980. 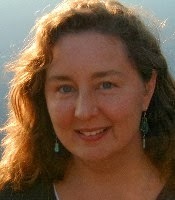 Jan. 2014 to Present Associate Faculty Editor--Endicott Review. Involved with the undergraduate literary review at Endicott College. Sept. 2010 to... Director of the Ibbetson Street Press at Endicott College in Beverly, Mass. Established an office for my independent press, a visiting author series, and connect students with mentors and internships in the Boston area. July 2010 to... Arts and Idea Faculty. Jewish Community Centers of Greater Boston. Newton, Mass. Poetry Workshop Leader. Jan. 2010 to... Adjunct Professor. College Writing. Bunker Hill Community College. Boston, Mass. Jan. 2004- Feb. 2010. Lecturer. Poetry Workshop Leader. Newton Community Education. Newton, Mass. Seminar: "Residency in the Asylum: Poets of McLean Hospital." Poetry Workshops. ISCS PRESS Littleton, Mass. Senior Editor. Involved with the promotion of book projects for this publishing service agency. Middlesex Beat. Shirley, Mass. Feature writer for this monthly arts magazine. Arts Editor, The Somerville News, Somerville, MA. 2000 to 2001 President. Stone Soup Poets. Boston, Mass. 2000 to Present. Advisory Board Member--Tapestry of Voices/ Boston National Poetry Festival. Boston, Mass. Tapestry of Voices is a literary outreach program founded by Harris Gardner. Boston editor. Poesy Magazine. Santa Cruz, Ca. Some of Holder's interviews with contemporary poets and writers, both audio and video, are housed at the University of Buffalo, Harvard University and Poet’s House (NYC) libraries. My interviews have also been cited and included in MLA International Bibliography, Contemporary Authors, and the Dictionary of Literary Biography. Below is a list of selected interviews I conducted with poets, writers, and other figures in the Arts. The Boston Globe Magazine, The Boston Globe, Aurorean, Chiron Review, Synergest, America’s Favorite Poems (Edited by Robert Pinsky,) Middlesex Beat, PRESA, Northeast Corridor, 96 Inc., Manifold (UK), Toronto Quarterly, The Small Press Review, Dudley Review (Harvard University), Writer’s Journal, Buckle, HAZMAT, Raintown Review, Illyia's Honey, The Long Island Quarterly, Poetry Bay, Quercus Review, Microbe (Belgium), Rattle, Caesura, The Café Review, STUFF, the new renaissance, Istanbul Literary Review, Kaleidoscope, Endicott Review, Iodine, The Boston Poet, Main Street Rag, Free Verse, Poesy, Poetica, COMPOST, Sahara, Harvard Mosaic, Voices Israel, American Poetry Monthly, Poetry Motel, The Best of the Boston Literary Magazine, sunnyoutside reader, Inside the Outside: An Anthology of American Avant-Garde Poets (Presa Press),The Jewish Advocate, Poetry Monthly International( U.K.),Poiesis, Houston Literary Review, Poetry Quarterly, Brattleboro Reformer, Ressacs (France), Library As Incubator Project, Steam Ticket: A Third Coast Review, Sub-Terrain ( Canada), Wilderness House Literary Review, Muddy River Poetry Review, Spare Change News,The Brooklyn Voice, Decomp, Word Riot, The Green Door (Belgium),Orange Room Review, Boston Poetry Magazine, Constellations, Fox Chase Review, Blue Fifth Review, spoKe, The Compassion Project: An Anthology, Grey Sparrow Journal, Scrambler, The Turtle Island Quarterly, Nixes Mate Review, Woven Tale Press., Mass. Poetry Website, and others. College Writing Seminar: Urban American Society, English Composition, Internship Seminar in Humanities, Introduction to Creative Writing, Introduction to Poetry, Poetry Workshop: It Could Be Verse, Residencies in the Asylum: Poets of McLean Hospital. Boston National Poetry Festival. Boston, MA. Featured reader. April 2019. Brookline Public Library. Brookline, MA. Bagel Bard Reading. Featured Reader. March 2019. New England Mobile Book Fair., Newton, MA. Featured reader. Sam Cornish Memorial reading. Feb. 2019. Trident Bookstore. Boston, MA. Featured reader. Spare Change News Anthology. Dec. 2018. Cervana Barva Press. Arts Armory Somerville. Gave a talk to interns at this noted indie press. Somerville Arts Armory. Final Dire Series. Featured Reader with Rusty Barnes, Elizabeth Graver, and others. Oct 2018. Endicott College. Beverly, Mass. Freshman Seminar: "Values and the Narrative" July 2018. Walter Howard Memorial Reading. Somerville Arts Armory. Featured Reader. Somerville, MA. June 2018. Poets and Pints Series. Somerville, MA. Sponsored by Porter Square Books. Aeronaut Brewing Company. Featured Reader. June 2018. Aeronaut Brewing Company. Somerville, MA. http://bostongust.com Holder's story "The Last Time I Saw Uncle Dave" read by actor Ben Scurria--as part of a storytelling series. April 2018. Brandeis University. Leonard Bernstein Festival. Creativity and Publishing Panel. April 2018. Boston National Poetry Festival. Main Branch Boston Public Library. Panelist: Craft and Publishing. April 2018. Somerville Public Library. Somerville, MA. Featured Reader and Host. Ibbetson Street Press 20th Anniversary Reading. Feb. 2018. Brookline Public Library. Brookline, MA. Oct.2017 Brookline Poet Laureate Series. Featured Reader. Gordon College. Wenham, MA. Oct. 2017. Reading and discussion of "Last Night at the Wursthaus." Plymouth Center for the Arts. Plymouth, MA. Sept. 2017. Mike Amado Memorial Reading Series. Featured reader. Cervena Barva Press Studio. Aug 2017. Somerville Arts Armory. Guest speak for the Press' internship program. Bull Run Restaurant Shirley, MA. July 2017. Featured reader and judge in this first poetry reading held in this historic tavern that has been around since the 1740's. Out of the Blue Art Gallery . Cambridge, MA. June 2017. Hosted and featured at a Bagel Bard Fundraising Reading. Boston National Poetry Festival. Boston, MA. April 2017. Featured reader and host. Somerville Arts Armory. ( Somerville, MA.) Feb. 2017. Featured reader at the First and Last Word Poetry Series. Newton Writing and Publishing Center. ( Newton, MA.) Nov. 2016. Best of the Boston Literary Magazine.--Featured reader. Mother Brook Center for the Arts ( Dedham, MA.) Oct. 2016. Inaugural-- Mother Brook Poetry Series. Featured Reader. Newton Writing and Publishing Center. Oct. 2016. International Beat Festival. Featured reader. Endicott College. Beverly, Mass. July 2016. Poetry Seminar-- Freshman orientation. Belmont Citizens Forum. Belmont, Mass. May 2016. Lone Tree Nature Poetry Walk. Guest poet: Poetry of McLean Hospital. Somerville Public Library. Somerville, Mass. May 2016. Bridget Galway Art Exhibition. Featured Reader. Whittier Home. Amesbury, Mass. April 2016. Featured Reader. Boston National Poetry Festival. Boston, Mass. April 2016. Featured Reader. Newton Festival of the Arts. Newton, Mass. April 2016. Judge for the Mother's Day Poetry Contest, along with Grey Held and Clara Silverstein. Cervena Barva Press Studio. Somerville Arts Armory. Feb. 2016 Guest lecturer for internship program. Newton Free Library. Newton, Mass. Feb. 2016 Featured Reader: Big Table Books Reading. Somerville Public Library. Somerville, Mass. Jan. 2016. Ibbetson Street 38 reading. Grolier Poetry Book Shop. Cambridge, Mass. Sept 2015. Featured reader with Tomas O'Leary. Somerville Arts Armory. Somerville, Mass. Sept 2015. First and Last Word Poetry Series. Featured Reader. Newton Writing and Publishing Center. Newton, Mass. Sept. 2015. National Beat Poetry Festival. Featured with other poets in a group reading of a poem by Lawrence Ferlinghetti. Newton Writing and Publishing Center, Aug 2015. Allen Ginsberg Award. Recipient. Endicott College. Beverly, Mass. July 2015 Freshman Seminar. "Finding Your Inner Poet" Taught incoming students at summer orientation. Newton Writing and Publishing Center. July, 2015 Newton, Mass. Book Launch: " Portrait of an Artist as a Young Poseur." Somerville Public Library. (Main Branch) June, 2015. Somerville, Mass. Ibbetson Street 37 reading. Featured Reader. North Shore Community College. May, 2015. Danvers, Mass. Images of Compassion Anthology reading. Featured Reader. Walnut Cafe Reading Series. May, 2015. Endicott Poets Reading. Lynn, Mass. Featured Reader. Cervena Barva Press--10th Anniv. Reading. April, 2015. Somerville Arts Armory. Featured Reader. 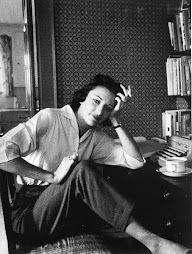 Margot Livesey--Dinner and Talk. April, 2015. Endicott College, Beverly, Mass. Host. Boston National Poetry Month Festival. April 2015. Boston Public Library, Boston, Mass. Featured Reader. Poesy Magazine Reading. March 2015. Arts Armory. Somerville, Mass. Featured Reader. Cervena Barva Press Reading Series. March 2015. Arts Armory. Somerville, Mass. Featured reader. Ibbetson Street 36. Reading. Feb. 2015. Somerville Public Library. Celebration of the 36th issue of Ibbetson Street magazine. Featured reader. Boston Book Festival. Oct. 2014 Boston, Mass. Host of Poets in the Asylum Panel: The Poets of McLean Hospital. On the panel: Doug Holder, Alex Beam, Lois Ames, Kathleen Spivack and Wendy Ranan. Bagel Bard 10th Anniv. Reading . Oct. 2014. Cambridge Public Library/Main Branch. Celebration of the Bagel Bard Literary organization, and the inclusion of the Bagel Bard Anthologies in the Somerville and Cambridge Libraries historical collection. "Oh Don't, She said." Oct. 2014. Celebration of a poem by Doug Holder, brought to music by Jennifer Matthews--CD release. Arts Armory, Somerville, Mass. Seamus Heaney Tribute Reading Aug 27, 2014. First Church Congregationalist, Cambridge Mass. Featured reader with Joan Houlihan, Daniel Tobin, Fred Marchant and Michael Todd Steffen. Longfellow House Summer Series. July, 2014 New England Poetry Club. X.J. Kennedy Tribute. Featured reader with X.J. Kennedy, Michael Casey, and Tomas O'Leary. Dire Literary Series. July 2014. Out of the Blue Gallery, Cambridge, Mass. Featured reader. Endicott College. July 2014. "Finding Your Inner Poet" Led a couple of seminars for incoming freshman about poetry and poetry writing. 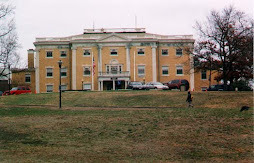 McLean Hospital. Visions of Excellence Award. June 2104. Belmont, Mass. Collaborated with musician/composer Jack Holland on the poem "Somewhere" read for the award winner Kareen Eka, RN, and audience. Cambridge River Festival. June 2014. Featured reader at the poetry tent organized by Cambridge Poet Populist Lo Galluccio. Cervena Barva Press Reading. June 2014. Somerville Center for the Arts Armory. Featured reader with Bonnie ZoBell and Robert Kloss. Mass. Poetry Festival. May 2014. Salem, Mass. Poets in the Asylum: The Poets of Mclean Hospital. Moderator and panelist with Kathleen Spivack ( "Robert Lowell and his Circle" ) and Bob Clawson ( Band manager for Anne Sexton and Her Kind). Montserrat College. April 2014. Beverly, Mass. Like One: Poems for Boston anthology reading. Featured reader. Boston Public Library April 2014. Boston National Poetry Festival. Featured Reader. Endicott College. April 2014. Like One: Poems for Boston anthology reading. Featured reader. Christ Church Reading and Writing Group Hamilton, Mass. March 2014. Featured reader. Endicott College. March 2014. Faculty Reading. Arts Armory Jan. 2014 Somerville, Mass.. Endicott College Creative Writing Faculty Reading. First and Last Word Series. Readers: Dan Sklar, Debbie Finkelstein and Doug Holder. Somerville Public Library. Jan. 2014 Somerville, Mass. Featured Reader. Celebration of the Bagel Bard anthologies (1-8) induction into the Historical Collection. Arts Armory. Somerville, Mass. Dec. 2013 Featured reader for Ibbetson Street reading in the First and Last Word Series. Gloucester Writers Center. Gloucester, Mass. Nov. 2013 Featured reader with faculty and Endicott Young Poet Series authors Emily Pineau, and Meghan Perkins. Littleton Rotary Club. Littleton, Mass. Nov. 2013. Guest Speaker. Bunker Hill Community College. Oct. 2013. Boston Strong/Boston Proper Reading and Art Exhibit. Featured Reader. Endicott College. Beverly, Mass. Oct 2013. Guest Lecturer. Advanced Poetry Seminar. Endicott College. Beverly, Mass. July 2013. " Finding Your Inner Poet" Taught two sections of this course for incoming Freshman. The Jordan Rich Show June 2013. WBZ Radio. Talked about my essay "The State of Poetry" published on the Massachusetts Poetry site. Ibbetson Street 33 Reading June 2013. Somerville, Mass. Host//Reader. 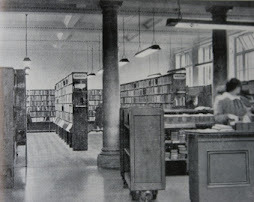 The Book Shop at Ball Square. Mass. Poetry Festival. May 2013. Salem, Mass. " Dead Poets Among the Living Panel" Read and discussed the works of Harvey Shapiro. Boston National Poetry Festival. April 2013. Boston Public Library. Featured Reader. New England Poetry Club Harvard University April 2013. Featured reader with Victor Howes, Michael Casey, and Tomas O'Leary. Association of Writers & Writing Programs Conference March 2013. Hynes Auditorium. Boston, Mass. Look of the Book Panel. Panelist. AWP Offsite Event. March 2013. Celebration of the life of Hugh Fox. Grolier Poetry Room. Art of Words Series. March 2013 Plymouth Center of the Arts. Plymouth, Mass. Featured reader with Charles Coe. Cervena Barva Press Reading Series. Feb. 2013 Arts Armory, Somerville, Mass. Featured reader. Wine Hour Readings. Jan. 2013 Moksa. Central Square, Cambridge. Hosted the first of a series of readings sponsored by Merrimack Media that featured poet Kathleen Spivack, Margaret Young and others. Blogspot Radio. Oct. 2012. Doug Holder interviewed by R. Jeffreys host of the internet radio show The Write Step. Bunker Hill Community College. Oct. 2012. Featured Reader. Boston, Mass. Take Me Out To The Ball Game: Celebration of Fenway Park. Boston Public Library. Sept. 2012. Featured Reader. 100,000 Poets for Change. Endicott College. July 2012. Beverly, Mass. Summer Workshop Leader. Finding Your Inner Poet. Stone Soup Poets 40th Birthday Reading May 2012. Out of the Blue Art Gallery, Cambridge, Mass. Featured reader. Laughter at the Grolier May 2012. Bloc 11, Somerville, Mass. Read with X.J. Kennedy and others in a fundraiser for the Grolier Poetry Book Shop. Boston National Poetry Festival April 2012. Boston, Mass. Copley Square-Main Branch--Boston Public Library. Featured Reader. Mass. Poetry Festival. April 2012. Salem, Mass. "Dead Poets Among the Living Reading." Poetic Lines. March, 2012. Hopkinton, Mass. Hopkinton Cable Access TV. Interviewed by journalist Elizabeth Lund. .
Grace Paley Tribute Reading. Dec. 2011. Sponsored by The William Joiner Center U/Mass Boston. Harvard-Epworth United Methodist Church-- Cambridge, Mass. Cape Cod Writers Center. Aug 2011. Small Press Panel. Craigsville, Mass. Yanafide Foundation. "You are not Alone Series. "June, 2011. Brockton Public Library Brockton, MA. The First Annual Writers Conference. June, 2011. Hunter College. NYC. Small Press Panel. Mass. Poetry Festival. Salem, Mass. May 2011. The Life of a Poet Panel. Particpated with poets Susan Rich, Ravi Shaukar, Aimee Nezukmatahil, and Jennifer Jean. Cambridge Center for Adult Education. April, 2011. Cambridge, Mass. Writers Life Series. Anthologies and Group Publishing Panelist. .
Southern Connecticut State University. April, 2011. New Haven, CT. Publishing and Writing Life Workshop. Conducted workshops that concerned the small press and publishing. Also discussion of the writer's life: how to make a living and continue to pursue your art. .
Center for the Arts at the Arts Armory. Jan. 2011 First and Last Word Series. Somerville, Mass. Read with Lloyd Schwartz and Ifeanyi Menkiti. .
Jewish Community Centers of Greater Boston. Nov., 2010. Newton, Mass. Publishing Panel. Jewish Book Fair. Bunker Hill Community College. Boston, Mass. Featured reader. Oct, 2010. Boston Tea Party Poetry Marathon. Featured Poet. Outpost Gallery. Cambridge, Mass. July, 2010. Jewish Community Centers of Greater Boston. July 2010. Director and workshop leader of the Ibbetson Street Press: Writing, Publishing and Reading Series. Newton, Mass. Guest Columnist. Sketchbook:A Journal for Eastern & Western Short Forms. June 2010 to Present. Newton Open Studios. Featured Poet. Jewish Community Centers of Greater Boston. Newton, Mass. May 2010. Perkins School for the Blind. April, 2010 Watertown, Mass. (Olive Lacy Recording Studio) Recording of Holder's poetry collection "The Man in the Booth in the Midtown Tunnel" (Cervena Barva Press-2008) for an audio book for the Blind. The book will be sent to the National Library for the Blind, part of the Library of Congress in Washington, D.C. .
Cambridge Populist Poetry Festival. April 2010 Featured Reader. Cambridge, Mass. Cornelia Street Cafe. Dec. 2009 New York City. Featured Reader. Wayland Public Library. Wayland, Mass. Poetry Workshop. Oct 2009. Mass. Poetry Festival. Lowell, Mass. Oct 2009. William Joiner Writers' Workshop.U/Mass Boston. June, 2007. Publishing Panel. Jordan Rich Show. WBZ Radio. Boston, Ma. "The Muses" 2006. New England Poetry Club.Harvard University, 2005. Featured Reader. Grolier Poetry Reading Series. Harvard University, 2005. Featured Reader. Co-founder. Somerville News Writers Festival. 2003 to 2010. Somerville, Mass. Workshop Leader, Arts/first: Promising Student Arts Program, 2002. Boston. Featured Reader, Mass. Poetry Society, 2000. Poet Advisory Board. Boston National Poetry Festival. 2001 to present. Member, Poets Advisory Board for the "Poetry Outreach Project,” Massachusetts Cultural Council Present - 2006 to Present. Founding Member, Pushcart Prize Fellowship, 2005. Doug Holder's interview with former Houghton Mifflin editor Lawrence Kessenich is cited in the book "Going the Distance: The Life and Works of W.P. Kinsella by William Steele. Nixes Mate Review Anthology 2017-8. ( Edited by Philip Borenstein, Michael McInnis, and Annie Pluto) Oct. 2018. Poems. " Ozzie and Harriet and the Debutante of 1938," Psycho." Spare Change News Poems: An Anthology by Homeless People and those Touched by Homelessness (Edited by Lee Lee Varon/Marc Goldfinger) March. 2018. Poems: "Furnished Room, Newbury St.," "The Mugging: Times Square: 1973." Voices Israel Anthology. (2016) "The Lottery Ticket"
The Best of the Boston Literary Magazine. (Vol. 1) June 2016. "The Living Room" (Print). Lummox Anthology. 2014. "Interview with Doug Holder." with R.D. Armstrong. "The Hollow Man" (Poem) Print. Voices Israel Anthology 2014 " Why do they build houses near the sea?" (Poem) Print. Lummox: Favorite Poems. (Lummox Press) Holder is the Boston editor and a contributor to this anthology. Oct. 2012. Conversation Pieces: Selected Interviews. (Presa Press) Eric Greinke. 2012. 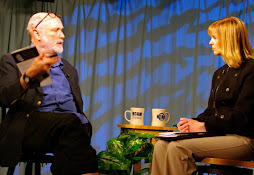 Holder interviews poet, publisher Eric Greinke. LAST CALL: The Bukowski Legacy Continues. (Lummox Press) Edited by R.D. Armstrong. 2011. On the River: The Cambridge Community Poem. Edited by Peter Payack. (Cambridge Arts Council) 2011. African Americans and Community: Engagement in Higher Education Community (Lexington Books) by Stepahnie Y. Evans. Cited " Books of Hope Brings the Writer Out in Somerville Youth" by Doug Holder. The Somerville News. ( 2008) 2010. Teacher, Education, Diversity and Community Engagement in Liberal Arts Colleges (State Univ. Of New York Press). by Lucy W. Mule. Cited " Books of Hope Brings the Writer Out in Somerville Youth" by Doug Holder. The Somerville News. ( 2008) 2010. Empty Phantoms: Interviews and Encounters with Jack Kerouac by Paul Maher, Jr.. ( Thunder Mouth Press, NY) Cited " Interview with Louisa Solano" by Doug Holder. Boston Area Small Press and Poetry Scene. 2005. Out of the Blue Writers' Unite (Crooked River Press) 2004. Bagels with the Bards. (1-10) Anthology. 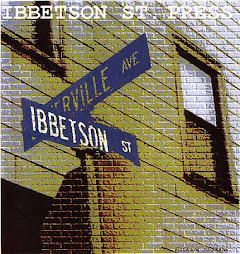 (Ibbetson Street Press) 2006-2015. Chaos Theory (Scars Publications) 2005. March 2019. 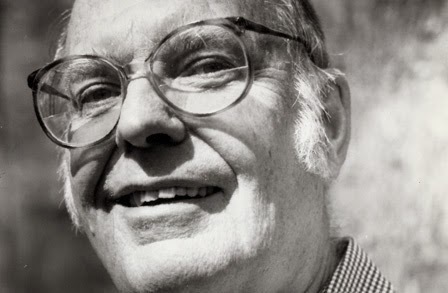 Doug Holder on poet Charles Coe. Cambridge Editors. Cambridge, MA. Feb. 2019. EMERSON TODAY. ( Emerson College). "Poets Come together to honor Sam Cornish Boston's First Poet Laureate" Doug Holder cited as one of the noted featured readers at the event. Feb. 2019. The Boston Globe. "Longtime resident is named Somerville's Poet Laureate." Holder is mentioned as a member of the committee that selected Lloyd Schwartz as the Poet Laureate. Oct. 2018. " The Mall" Muddy River Review. Online. Poem. Aug. 2018. "Remembering Sam Cornish" Mass Poetry. Tribute to Sam Cornish-- the first poet laureate of Boston. Essay. Aug. 2018. "A Crossing Guard at Junction of Poetry and Life." Boston Globe. Holder quoted in obit of Boston's first poet laureate. Aug. 2018. " Poets/Artists Ponder Breath and Matter" Article. Woven Tale Press. July 2018. Going the Distance: The Life and Works of W.P. Kinsella by William Steele. Holder's interview with former Houghton Mifflin Lawrence Kessenich is cited. Kessenich worked with Kinsella. May 2018. North End Waterfront. Com " North End resident, Francine LaChance and the Grolier Poetry Fetival." This article is linked to an interview Doug Holder conducted with LaChance. May 2018. The Malden Observer. "MATV Multimedia Mixer featuring poet Doug Holder." April 2018. Muddy River Review. " Meeting Allen Ginsberg." Poem. Online. Jan. 2018. Snow Jewel. "The Bar" Print. Poem. Print. Jan. 2018. Constellations. " Death of a Homeless Man" Poem. Print. Oct. 2017. Muddy River Review. " Infinity" Poem. Online. Oct. 2017. Nixes Mate Review. http://nixesmate.pub "Psycho" "Debutante of 1938" Poems. Online. Sept. 2017 The Salem News. "Endicott College to host 'Unburying Malcolm Miller' screening. Holder mentioned as the curator of the series at Endicott College where the screening will take place. Sept. 2017. The Somerville Times. "Union Square Portraits: Conversations about America with Doug," by John Thompson. Feb. 2017 spoKe magazine. "Professor Irwin Corey" (Poem) Print. Jan. 2017. First Literary Review-East. " A Kaddish for My Father" (poem) online. Nov. 2016. The Best of the Boston Literary Magazine. "A Dog Digging Up Its Master's Grave" ( Poem)Print. Sept. 2016. Stanzic Stylings. " The Newspaper" Poem. July 2016. "For 45 years,' Ploughshares' Has Been on Cutting Edge of Literature." Emerson Today. (Online) "In a column for Doug Holder's blog Boston Area Small Press and Poetry Scene, Henry said Ploughshares was created for the "common readers..." " In a piece for Doug Holder, which was also submitted to The Somerville Times, DeWitt Henry reflects on the history of the literary magazine he helped found..."
April 2016. Newton TV. Broadcast of Newton Free Library Poetry Series Festival. Readers: Nicole Terez Dutton, Barbara Helfgott Hyett, January O'Neil. Curated by Doug Holder. March 2016. Newburyport Daily News. "Ibbetson Street Press Reading" ( Holder's press holds a reading with select post at the Whittier Homestead in Amesbury, Mass. Jan 2016. Chiron Review. Issue 102. "An interview with Doug Holder" Print. Dec. 2015. Voices Project. " Ken's Deli" Poem. Online. Dec. 2015 Constellations: A Journal of Poetry and Fiction. Excerpt: " Portrait of an Artist as a Young Poseur." Poems. Print. Dec. 2015 Boston Literary Magazine. " A Dog Digging Up His Master's Grave" Poem. Online. Print. Oct. 2015 Voices Project. "Spectacle Island: Boston Harbor" Poem. Online. Sept. 2015. WRCA Cambridge. Public Affairs. Doug Holder interviews Thom Lyons ( Owner of the New England Mobile Book Fair). Sept. 2015. McLean Hospital Newsletter. "Holder Recognized for his Contribution to the Arts." Sept. 2015. WRCA 1330AM. (Cambridge, Mass. )Public Affairs Magazine. Newton Free Library Series broadcast. Doug Holder Host and Director. Readers Laurin Macios, Elizabeth McKim, and Ed Meek. Aug 2015. The Rise of the Modernist Bookshop by Huw Osborne. Doug Holder's interviews quoted and cited with Louisa Solano, the former owner of the Grolier Poetry Book Shop in Cambridge, Mass. " The list of American poets who have gathered to praise the Grolier through the decades is formidable. A 1971 issue of The Antioch Review published published 36 poems for Gordon Carnie on his birthday and included Conrad Aiken, Robert Bly, Fanny Howe, Denise Levertov...Richard Wilbur.... Thirty-five years later, Doug Holder would gather a newer generation of poets to recognize Louisa Solano, among them John Hildebidle, Richard Kostelanz, Ruth Lepson, and Kathleen Spivack...."
April 2015. Muddy River Poetry Review. "A Cap" ( Poem) Online. March 2015. Grey Sparrow Press. " I Will Never Be My Father." (Poem) Print. Dec. 2014. .Boston Literary Magazine. "Blondes" (Poem) Print. Dec. 2014. Constellations. "Street Singers" and "First Apartment: Boston 1978" (Poems) Print. Dec. 2014 The Tufts Daily. "The search for Somerville's Poet Laureate" by Ian James. Doug Holder is interviewed about the search for the first Somerville Poet Laureate. Holder is a founding member of the search committee. Oct. 2014 Boston Globe-Online. Somerville Seeks Poet Laureate: This headline doesn't rhyme. Discussion of selection committee, which Doug Holder is a member and help found. June 2, 2014. The Boston Globe. " To Do List: A stack of three." "... Eating Grief at 3AM is one of those rare collections with every poem as delicious as the stack of syrup-saturated pancakes you used to tuck into a Bickford's in the wee hours of the morning." Quote in article used from The Boston Literary Magazine. April 2014. Oddball Magazine. " I saw myself on the Dudley Bus one day." ( Poem) online. Dec. 2013. Constellations: A Journal of Poetry and Fiction. (Print) "A Vacant Stare at the Sky"
Nov. 2013. The Littleton Independent ( Littleton, Mass. )"Editor Speaks about literary magazine in Littleton"
July 2013. Big River Poetry Review. ( Baton Rogue, Louisiana) Volume 1. "You know it's tough being a writer." July 2013. Spare Change News. (Boston, Mass.) " The Mugging: Times Square: 1973." " A Hollow Man"
(Poems) Online http://www.sparechangenews.net/node/1516 and Print. July 2013. Shalom Magazine. (Print) " Holder on the State of the Written Word" by Susie Davidson. June 2013. (Online) Doug Holder: The State of Poetry. ( Essay) Mass. Poetry Website. March 2013. Endicott Oberver. Endicott College. Beverly, Mass. Emily Pineau Nominated for Pushcart Prize in Poetry by Professor Doug Holder. Nov. 2012. The Green Door. (Poems). Old Women at the Market Basket: Somerville, Mass, Fortune Cookie. June 2012. Poetry Quarterly. Interview with Boston Poet Laureate Sam Cornish with Doug Holder. May/June 2012: Small Press Review. Doug Holder reviews San Francisco Poems by A.D. Winans. Oct. 16, 2011. The Boston Globe. Word On The Street: A time of total insanity by Jan Gardner. (Article on the Grolier Poetry Room Reading Series co-founded by Holder). Aug. 4, 2011.The Bay State Banner. Boston Poet Laureate Sam Cornish: The Interview. July 8, 2011 Fictionaut Blog Checking in with Ibbetson Street Press. by Anita Gray. May 2011. The Endicott College Blog. Beverly, Mass. The Write Stuff: English Students Contributing to Local Small Press and Poetry Blog. Jan 16, 2011. The Boston Globe. Reinterpreting Shylock by Jan Gardner. Oct. 2010 The Boston Globe. " Jack Powers, 73-- Helped Poets Bring Verse to Life Holder quoted in the obit of the late founder of Stone Soup Poets in Boston. July 16, 2010. The Jewish Advocate. Holder hosts Jewish bards of Boston by Zvi A. Sesling. April 13, 2008. The Boston Globe, It's National Poetry Month-- What Are the Poets Doing? July, 2007. Projection, Lights and Staging News. Doug Holder interviews his brother Don Holder, lighter of the Lion King. Dec 19, 2007. Jerusalem Post, Visiting Voices, Visiting Boston Poet Doug Holder will give a reading at ZOA HOUSE, Tel Aviv, December 2007. April 2004. The Somerville News, Doug Holder Leads and Reads at Boston Poetry Festival. February 2003. Jewish Advocate. Notable Area Jewish Poets Read Work at JP Cemetery. April 2002. The Jewish Advocate. New Leader of Newton Library Series: Doug Holder Replaces Robert K. Johnson as Host of Poetry Series. March 10, 2002. The Boston Globe. POET'S MONEY-LOSING PRESS HAPPY TO HAVE A BESTSELLER PUBLISHED by Luba Ostashevsky, Globe Correspondent. June 2001. Belmont Citizen, Poets Still Find Inspiration At McLean Hospital. February 2000. 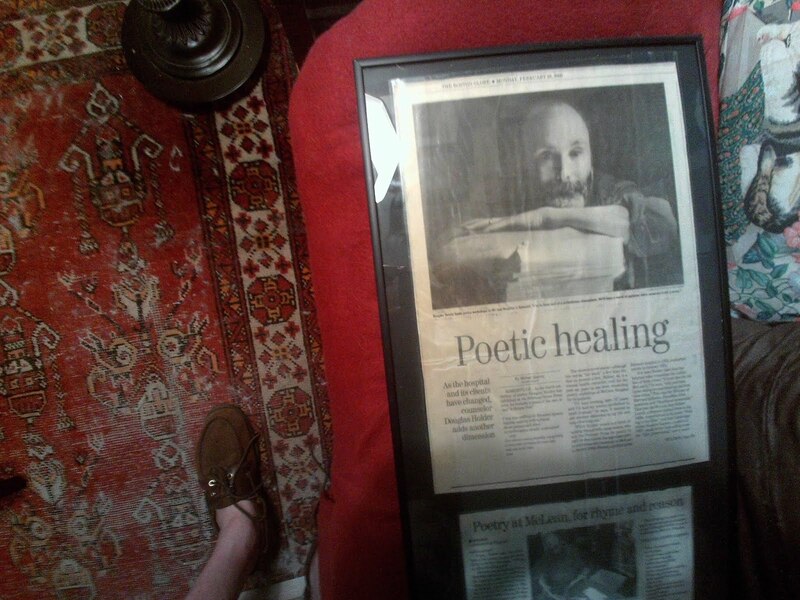 The Boston Globe, Poetic Healing: As the hospital and its clients changed, counselor Douglas Holder adds another dimension by Michael Kenney. August, 1999. Spare Change News, Doug Holder and the Ibbetson Street Press, Cindy Baron. Pushcart Nomination by the Muddy River Review for his poem " Meeting Allen Ginsberg..." Fall 2018. Stone soup to City Lights: Jack Powers on Lawrence Ferlinghetti with Doug Holder. (identified as being from: What's up, ca. fall, 2000, p. 12, 38). Originally published in Poesy magazine according to jackpowerspoet.blogspot.com. in the Lawrence Ferlinghetti Collection at the University of North Carolina/Chapel Hill. The Ibbetson Street Press--- will be included in a new EBSCO database for the humanities due out in the Spring of 2019. 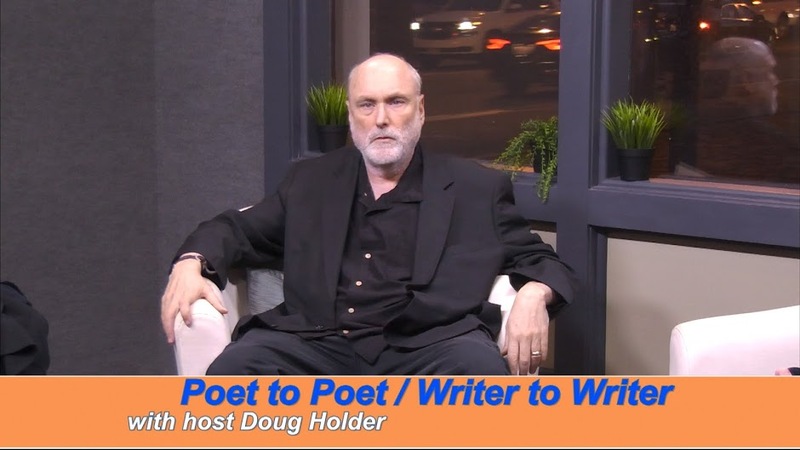 Doug Holder won a Somerville Media Center Award for his TV show Poet to Poet Writer to Writer--Best Arts and Culture Program ( 2018). Doug Holder's interviews ( audio/visual), the books and magazines that Ibbetson Street (A press founded by Holder) has published, have been accepted as part of the Cid Corman Boston Small Poetry Press Archive at UMass Boston. (2018). Doug Holder's poetry collection Last Night at the Wursthaus was entered for the Pulitzer Prize by the Grey Sparrow Press. Allen Ginsberg Award. Newton Writing and Publishing Center. Aug. 2015.Newton, Mass. Holder's poem,"Oh Don't, She Said..." inspired a sculpture by Lindsey Thurlow and the poem and the sculpture were exhibited at the Art Gallery at North Shore Community College, Danvers, Mass. It was part of show titled "Images of Compassion." 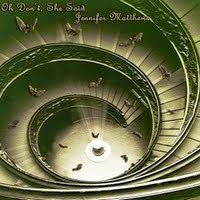 The poem was also put to music by composer and lyricist Jennifer Matthews. Composer Kate Chadbourne set Holder's poem " Her back is to me, as she faces the sea" to music. Holder's poems " First Night on the Psychiatric Ward" and " Cigarette on the Psychiatric Ward" were put to music and dance at the Boston National Poetry Festival ( 2014) The presentation was at the Old South Church in Boston. The music was composed by Berklee College professor Lucy Holtstedt and Choreography by Eleni Arapoglu. Work from Ibbetson Street 32 ( Holder is publisher of Ibbetson Street) was picked for a Pushcart Prize. This work will be included in the Pushcart Anthology 2014. Selected to be Judge of the 2007 Rueben Rose Poetry Award in Israel. This award is presented by the “Voices Israel” organization. Toured Israel; lectured and gave workshops in Jerusalem, Haifa, and Tel Aviv. Lucid Moon Poetry Award, “Hardest working editor in the small press,” (2003). Nominated for two Cambridge Poetry Awards, 2003 to 2004. Co-founder of The Somerville News Writers Festival 2003-2010. Three collections of poetry Wrestling With My Father, Poems from Boston and Just Beyond, The Man in the Booth in the Midtown Tunnel were picks of the month in the Small Press Review..
State of Maine Writer’s Conference. Poetry Award for poem “Gulls at Daybreak.” (2000). Since September, 2010, the English department and the College in general has benefited immensely from this partnership. In exchange for the College’s financial support of the non-profit Ibbetson Street Press (ISP), its editor Doug Holder, an adjunct English instructor at the College, has helped connect Endicott to the greater Boston literary scene. Prof. Holder has arranged for our English students to write and publish book reviews, conduct and publish interviews with prominent authors (e.g Pulitzer Prize-winning poet Maxine Kumin, Marge Piercy, and Diana Der-Hovanessian), and publish and present their own creative work. Through his connections with authors, publishers, and literary arts organizations in greater Boston and beyond, he has expanded the list of potential internship sites for our students and helped place a number of our students at sites. Prof. Holder has also used his connections to bring a range of poets, playwrights, essayists, novelists, publishers, performance artists, and storytellers to campus through the Visiting Author Series, the most visible outgrowth of the Endicott-ISP partnership. These events, which occur twice each semester, and take the form of a public reading or performance followed by a question and answer period, have helped develop a literary community at Endicott. The Series has featured Boston Poet Laureate Sam Cornish, Vivian Shipley (editor of the Connecticut Review), Gary Metras (founder of the Adastra Press), Mark Pawlak (Hanging Loose Press), De Witt Henry (founder of Ploughshares Magazine), Tino Villaneuva and Luke Salisbury, and poets Miriam Levine, Fred Marchant, Bert Stern, and Charles Coe. It has also featured performances by Tom Daley and Michael Mack. In addition to these public events, Prof. Holder has also arranged for other writers to visit his classes and talk with students about writing. These writers have included Timothy Gager, Gloria Mindock, Jennifer Jean, Zvi A. Sesling, Steve Glines, Li Min Mo, January O'Neil and Paul Steven Stone. The interviews that Endicott English majors conducted with Kumin, Piercy, and Der-Hovanessian were published in recent issues of Ibbetson Street magazine, while reviews by our students of books by Tom Perotta, Lois Ames and others have been published in the Boston Area Small Press and Poetry Scene, a literary blog that is an offshoot of the Ibbetson Street Press. Additionally, Prof. Holder has arranged for the publication of selected work by Endicott English majors in The Somerville News, of which he is the Arts Editor. The connections that Prof. Holder has helped our students make and the attention that he has brought to their work are significant. Creative Writing concentrator Emily Pineau had her interview with Piercy and one of her poems published in Ibbetson Street. Prof. Holder also arranged for Emily to read some of her poems at an event sponsored in summer 2012 by the Jewish Community Centers of Greater Boston in Newton, MA. Zvi A. Sesling, publisher of Muddy River Review, was in the audience. He was so impressed with Emily’s work that he published some of it in Muddy River and nominated her for a prestigious Pushcart Prize. Emily was interviewed about her work on NPR (KUNM-FM89.9, Albuquerque, NM, and her work is the first to be featured, in the form of a chapbook entitled No Need to Speak, in the Endicott College/Ibbetson Street Press Young Poet Series. Each year, an Endicott student’s work will be featured in the series. An additional fruit of the Endicott-Ibbetson Street Partnerhsip is the small press collection that Prof. Holder, working with Library Director Brian Courtemanche, has developed. The collection, which includes a growing number of books from regional, national, and even international authors, is modeled after holdings at libraries at the University of Buffalo, Brown University, and University of Wisconsin – Madison. Doug Holder ran poetry groups for psychiatric patients at this literary landmark for over three decades. McLean Hospital had many famous poet residents: Robert Lowell, Sylvia Plath, and Anne Sexton ran her famous workshops there. Click on picture to read an article about his experience. "I've been greatly enjoying your poems. You have a major league talent man." "One my aims, in editing THE OUTLAW BIBLE OF AMERICAN LITERATURE was to break down this segregating literary wall that still exists in our country. Two worlds, in which one knows nothing about the fact that writers like Goines and Beck are the biggest selling authors in their communities nationwide. But because of their color and because, as the inmate veterans said Beck and Goines "Keep It Real" they are, to this day, and despite being spellbinding writers of high literary merit, critically ignored, and left completely out of the national discourse. So, it's heartening to know that college students are using this book and gaining exposure to the Other side of American literature. Thank you for your courage in fostering that." "It is truly amazing that you persist with such energy and endurance in this greatly indifferent& hard pressed climate, unresponsive to genuine artistic efforts outside the ones that bring establishment approval. You give us that prod to go on." "I Want you to know I appreciate all you do to help me get deeper into my poetry work." ( Molly Lynn Watt--Poet Laureate/ The Harvard Institute for Learning in Retirement)"
(Click on picture to view) From his award-winning Somerville Public TV show, " Poet to Poet: Writer to Writer"
(To preview or purchase click on picture)Oh Don’t, She Said ~ by Jennifer Matthews Jennifer wrote this song after her friend and notable poet, Doug Holder, showed her his poem: “Oh don’t, she said, it’s cold.” After reading it, Jennifer felt inspired and heard a song in it. She had to change some of the words to make it work lyrically with the music, but she made sure to stay close to the original poem as much as possible. Jennifer played all the instruments on it and engineered it. It was mixed by Phil Greene at Normandy Sound, who worked with the likes of Mick Jagger, Bruce Springsteen and many, many other noted artists. Doug wrote it after a conversation he had with his mother while riding on a train to New York City. It is dedicated to her, Rita Holder. (Click on picture to go to the collection)Doug Holder, along with the staff at the Halle Library at Endicott College, founded a small press collection of poetry, fiction and non-fiction books. Doug Holder interviewed about the Boston Poetry Scene by Andrew Pezzelli.
" Doug Holder does yeoman work supporting writers of poetry and prose in Somerville." ( Dan Kimmel--Former Variety Correspondent and winner of the HUGO Award) "Your retirement marks completion of so many remarkable roles and contributions you’ve made on behalf of patients, coworkers and the hospital. I’ll miss your uniquely emphatic talent in supporting patients’ expression through poetry and helping them publish." ( Melanie A. Kimball-- McLean Hospital--Former Clinical Supervisor--Pavilion Unit) "Thank you for your years of service to the hospital, for the many years you worked at the Pavilion and for the time you spent working at other residential programs prior to coming to the Pavilion. I especially appreciate your efforts to help our patients find creative writing outlets for expressing their inner demons.” ( Mark Robart, Director of Residential Service--McLean Hospital), "Thanks, for all you do." ( Elizabeth McCracken--National Book Award Winner), "Having worked to include small 'alternative' press materials in the libraries where I worked, I appreciate his dedication so much." (Janet Freedman / Resident Scholar, Womens Studies Research Center Brandeis University, Waltham, Massachusetts Author: Reclaiming The Feminist Vision: Consciousness-Raising and Small Group Practice.) Francine Lachance (Consultant Grolier Poetry Foundation)-- Thanks, Doug, for being so supportive of us (and many others) in the arts and literary scenes in Boston. We appreciate it. " Michael Casey ( Winner of the Yale Younger Poetry Prize "Obscenities"),commenting on Holder's poetry collection " Portrait of an Artist as a Young Poseur..."/ "This book is a wonderful and entertaining read. It is maybe ten years since I read a book so good that I wished it had more pages. I hope the author is working on a sequel." Annie Pluto ( Professor of English/Lesley University)-- " Hi Doug - I enjoyed the poems you sent us for Nixes Mate. They were/are wonderful. (Marguerite G. Bouvard- Brandeis University Scholar in Residence)" You have done so much for poetry in this troubled world. "( Robert Pinsky (Former U.S. Poet Laureate)-- "Mr. Poetry." Richard Murphy-- Founder--Dos Madres Press ) "Thanks for everything, absolutely everything you do for literature and the small press." ( Jesse Glass- Professor of American literature at Meikai University, Japan) "Because Trump has the arts on the chopping block, American writers need people like the poet, publisher and literary activist Doug Holder in their corner--promoting the Boston poetry scene and keeping the flame alive." 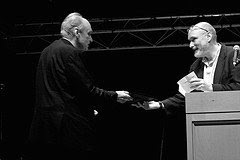 A.M. Juster ( Winner of the Richard Wilbur Award) ".... to poet/prof/publisher/editor Doug Holder, an anchor of the Boston poetry scene." (Poet Rod McKuen) "Wonderful interview by Doug Holder. For too long the influence of Charles Plymell's poetry and the important work of the Cherry Valley Press has gone largely unrecognized." (Sergio Inestrosa--Professor of Latin American Studies--Endicott College)--"Thank you for showing me the way, you are in all the meaningful sense, a master"(Carol Menkiti--Grolier Poetry Book Shop)" We are grateful for all you do to support and promote poetry. "/// (Daniel Y. Harris, President, NYQ Board)"Doug Holder's mastery of the art of the interview, is in keeping with the history of NYQs great craft interviews. "///Rich Murphy ( Former Associate Professor of English-Bradford College) "I know that you are doing good things there with poetry and the students. You have attracted very good press for Endicott College and poetry.///Tom Daley ( Boston Center for Adult Education)-- " Doug is a very wonderful supporter of all things poetical. "/// Nina R. Alonso ( Founder editor Constellations magazine) " I am really delighted and appreciate what you do for me and our writing community... more than I can put into words." ///The Boston Globe: PAUSING FOR POETRY -- "Call him the pied piper of poets. 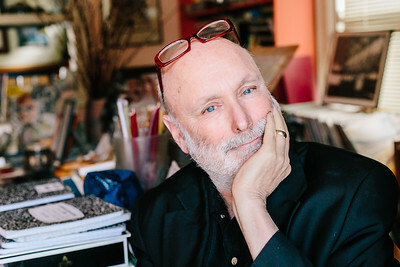 If Doug Holder isn't busy publishing poets via his Ibbetson Street Press or sharing new finds through newspaper stories or on cable TV, he's running readings, planning slams, organizing writers' festivals, helping patients at McLean Hospital write verse, or editing Poesy magazine. With his fingers in so many poetry pots, Holder, knows who is writing what and, when he spies talent, he makes sure that voice is heard"///January O'Neil ( Executive Director of the Mass. Poetry festival) "Thank you for all you do in poetry. "// Lois Ames ( Author of Anne Sexton: Self Portrait in Letters, biographical note for "The Bell Jar" ) " Thanks for the wonderful work you do in keeping Sexton's Legacy alive! "//Harte Weiner ( Former contributing editor to The Paris Review)-" I've just posted stories of yours in The Somerville Times. As always I read and admire your writing. All genres!" Bonnie ZoBell (Gently Read Literature) " Holder's ability to create such depth of character, to show such fully-wrought human beings with his sparse and yet impeccable lexicon is enough to make a novelist envious." Sharon Bryan ( NFA Fellowship in Poetry/Professor Lesley University) " .... your devotion to poetry is really impressive." Linda Lerner (Poet-Professor of English- City College of New York) ///" Thanks for all you do for poetry." Kathleen Aguero ( Professor of Creative Writing- MFA--Low Residency--Pine Manor College) --"... thanks for all you do for poetry." /// Martha Collins --( Professor of Creative Writing-Oberlin College, and author of "Blue Front," Gray Wolf Press) commenting on "Wrestling With My Father." --so I did get this, at Porter Square, (Books) and found it wonderfully moving. My one and only chapbook is about my mother in her final years: more about those years than, as in yours, a whole life with a parent--but the emotions surrounding parental loss are near and dear to my heart. Thanks for heading me that way." /// Frannie Lindsay--(May Swenson Award Winner) " The poems ( Eating Grief at 3AM) are gorgeous...they really did rattle me. "/// "Thanks for all you do for poetry"- Jacquelyn Malone-- (Editor-MASSPOETRY.ORG) /// Lo Galluccio-(-Poet Populist--Cambridge, Mass.) "Couldn't of done it without your support all these years, Doug. And I really mean that. "/// Kate Chadbourne ( Lecturer in Celtic Languages-Harvard University) -- " I am truly honored to be a guest of Doug Holder on his program, Poet to Poet/Writer to Writer. I have long admired Doug for his honest, insightful poetry and his way of seeing the raw beauty in the city life around him. He is the founder of the Ibbetson Street Press and Journal, a prolific writer of poetry and prose, and a truly wonderful activist on behalf of poetry! "/// "I can't believe how much support for the writing community comes from this one human being! How does he do it all?" ( Robin Stratton-Editor of the Boston Literary Magazine) /// "Doug Holder, a bagel bard and fine Somerville poet, brilliantly convenes, publishes and promotes poets. "-(Marc Zegans Fellow at Harvard University's Ash Institute for Democracy and Innovation./// " Doug--I am in receipt of your latest issue of Ibbetson Street, and am very impressed. You developed one of the really serious new literary journals in the entire country... and of course, it is not so new anymore!" (Jared Smith-- Advisory Board New York Quarterly) /// " Thanks for what you do for...so many...writers, poets and artists!" -- (Jordan Rich-WBZ Radio) ///" A poet, author and college professor who is piviotal in the Boston small press and poetry scene." --Alan Kaufman ( Editor of the "Outlaw Bible of American Poetry")/// "Congratulations, Doug, on your all-inclusive approach to the world of poetry...Your students will benefit from your wisdom." ( Nathaniel H. Mayes--Director of Special Projects M.I.T.) /// "I would be remiss if I didn’t also specifically thank Doug Holder, who works hard to put Boston, Cambridge, Somerville and environs on the map as cities where poetry is alive, well, and speaking in the public square. "( Denise Provost--Mass. State Rep.) /// "Thanks for all you do for the Boston literary scene." ( John Scrimgeour-- Professor of English--Salem St. University) ///"You really are a gift to the Massachusetts poetry scene." ( Tanya Whiton- Asst. Director of Solstice Creative Writing Programs of Pine Manor College)///. "You are our Robert Lowell... so generous and looking out for us all.." ( Kathleen Spivack-"With Robert Lowell and his Circle") ///"So this thank-you goes back a long way, and wants to cover all the friends of mine that you've helped one way or another, maybe by publishing them, or by promoting their events, or just by taking them--by taking us--seriously." /// (Jack McCarthy--Best Stand Up Poet--Boston Phoenix )/// "Doug Holder is a fine poet and promoter of poets/poetry..." (Gary Metras Adastra Press Easthampton, Mass.) ///" A champion of Boston poetry." (Jim Vrabel-- Author of "When in Boston") /// " Doug Holder is my role model for clarity in poetry. "-( Mary McCullough- Founder of Streetfeet Women)/// " He is a great writer and poet. The literary magazine he publishes is rather amazing." 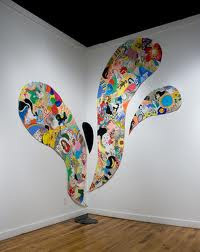 (Kathleen Bitetti--- Former Executive Director of Artists Foundation-Boston)/// "Chances are you know Doug Holder, know of him or know someone who has been published by his Ibbetson Street Press. 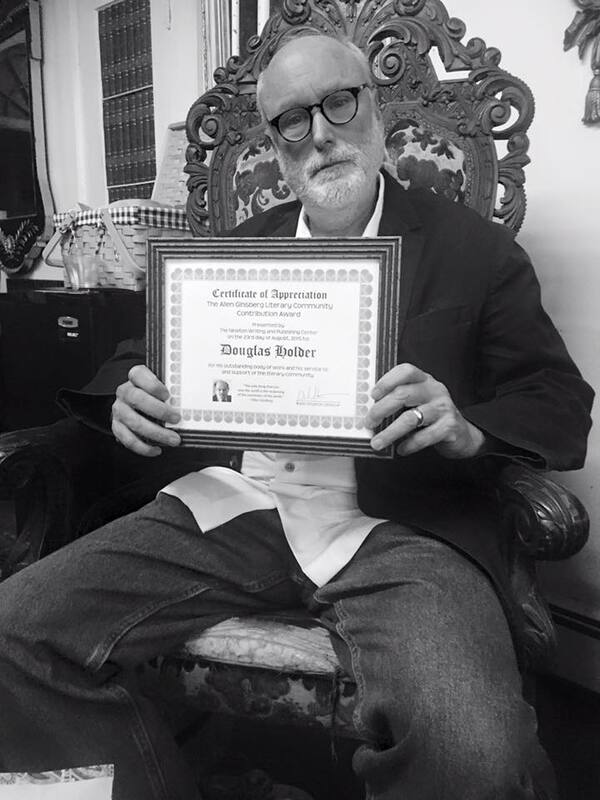 Poet, writer, arts editor of The Somerville News, producer of a writer's interview show, tireless promoter... Doug is a much a fixture in this community as Green Cabs or Lyndell's Bakery." --(Patricia Wild-The Somerville Journal)/// " You have done so much for the Boston poetry scene and for countless people who have benefited from your reading series, your reviews, and your own poems." --Elizabeth Lund--(Christian Science Monitor) /// " With great regard for your community building." --DeWitt Henry ( Founding Editor of Ploughshares) ///"An acclaimed Boston-area poet..." ( Perkins School for the Blind Website)//'/ " Doug Holder, poet, publisher, Renaissance-man."--(Mass. Poetry Festival) "Doug Holder's work shows mastery, depth, and a brevity that results in memorable lines..." ( New Pages) /// "Doug Holder keeps the creative spirit and its messages alive. "(Vivian Shipley--Editor of the Connecticut Review)/// "Holder has the eyes of a painter/sketcher/photographer.No one else on the scene can evoke so much reality with so few carefully chosen key descriptive words." (Small Press Review) /// " Many thanks for all your fabulous connections---you will enrich our offerings at the JCC." 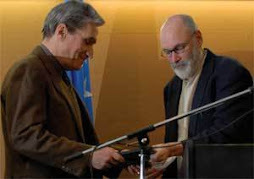 -- ( Silka Rothschild-Jewish Community Centers of Greater Boston)/// " Holder has earned the nickname “Johnny Appleseed of Poetry” for his many years of writing, encouraging and promoting verse in Greater Boston. He is a Jewish poet, but while his faith infuses his work, his themes are too wide ranging to be pigeon-holed." (The Jewish Advocate--July, 2010) /// "You've done an immense amount in making the Boston area (poetry) scene a genuine community." ( Pamela Annas-- Associate Dean of Humanities UMASS--Boston) /// " "I am honored by your labors, and filled with admiration for what they offer us, writers, readers and citizens." --Fred Marchant ( Founder of the Poetry Center-Suffolk University--Boston) /// "As for welcoming you on campus, we are so lucky to have you. I mean this. You are a great role model. You are a great writer, editor, poet -promoter teacher person." Charlotte Gordon- (Professor of English/Endicott College)/// "Somerville's de facto poet laureate..."--The Boston Globe. /// " No one has done nearly the yeoman service you have in creating a welcoming and empowering community for poets. I don't know, in the chicken-and-egg formualtion, whether you have created the flourishing of poets in Somerville, or whether you have just recognized it. But in any case, it is there." (Rebecca Kaiser Gibson--Fulbright Scholar--Professor Tufts University)/// "An outstanding poet and leader in our Boston community" ( Steven Ablon--Clinical Professor of Psychiatry-Harvard University- author of " Night Call. ")/// "Thank you for all you've done for poetry--and for Somerville." ( Lloyd Schwartz-- Professor of English UMass Boston, Pulitzer Prize for Criticism)/// " I appreciate your support and advocacy for poets and poetry. ( Walter Butts--Poet Laureate of New Hampshire) " I admire the fostering way you've created a sheltering world for poetry around you." ( David Ferry-Lenore Marshall Prize from the Academy of American Poets) ///" I appreciate all you do for the local poetry community. ( Joe Torra-Lecturer in English/ U/Mass Boston) /// "Doug--thank you for all you do for poetry." --( Micha Mahgerefteh--Poetica Magazine)/// "Doug I want to thank you for the evening of poetry and immersion. It was a refreshing dip for me. I also appreciate the pragmatic, experienced facts and wisdom you shared." ( Enid E. Larsen, Ph.D. Assistant Dean of Academic Programs Endicott College) /// "Thanks for your great job in keeping the Newton Free Library Poetry Series going!" ( Ellen Meyers-Director of Programs and Communications)/// ""... you are an invaluable resource to the community." ( David D. DiSarro-- Director of the Writing Center--Endicott College) "Love what you are doing for Endicott!" --( Abigail Bottome, Ph.D., (Internship Coordinator and Assistant Professor, Experiential Education ) "Keep up the good work on the literary front." ( Ed Hamilton author of "Legends of the Chelsea Hotel: Living with Artists and Outlaws in New York's Rebel Mecca")/Wendy Ranan ( Poet, Pyschotherapist--McLean Hospital, comments on Holder's short story "The Quiet Room")--"It’s really lovely—delicate, precise, disturbing—captures the spirit of the place( A Psychiatric hospital) and its struggles///( Paula M. Salvio Associate Professor University of New Hampshire-- author of Anne Sexton: Teacher of Weird Abundance) "Dear Doug Holder: I enjoyed reading your interview with Lois Ames very much. I am completing a book length project on the teaching life of Anne Sexton, and found her insights, and your questions very helpful." Sebastian Lockwood (Professor of Humanities--New Hampshire Institute of Arts) " A hearty yes and bravo to you on your good work"// ( Linda Conte--Treasurer of the New England Poetry Club)--.Doug! You've done more than I can say to encourage my writing over the years. You are the best! Click on Somerville News masthead! (Click on Picture to order) This collection of interviews by Doug Holder includes an introduction by Mike Basinski, Curator of the Rare Books and Poetry Archive at the University of Buffalo. 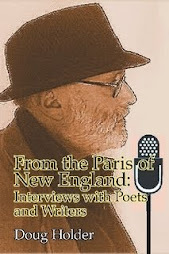 A series of interviews with poets and writers that took place in the "Paris of New England," (Somerville, Mass.) Doug Holder the founder of the small literary press "Ibbetson Street" conducted interviews on his Somerville Community Access TV Show "Poet to Poet: Writer to Writer," as well as for his literary column in The Somerville News, and at the Wilderness House Literary Retreat, founded by his friend Steve Glines. Poets and writers included in this volume are Mark Doty, Tom Perrotta, Pagan Kennedy, Claire Messud, Lan Samantha Chang, Afaa Michael Weaver, Lois Ames, Steve Almond, and many more... There is also some striking photography by Elsa Dorfman and other photographers in this collection.